Grace & Peace in Jesus Christ our Lord! Since all the following reports flow through the parish office on their way to the printer, I get an early chance to read them. And, having read them all, I encourage you to do the same! Doing so, you will get a helpful overview of our life together as Christ Episcopal Church in Guilford during 2016. As you read through these reports you will notice that in addition to reporting from her perspective as our senior warden, Pat Daunic also reported on our Stewardship Education Program, the status of our “Opening the Doors” Capital Campaign Fund, and the work we have done on strategic planning. I am so grateful for her leadership in all of these endeavors! I’m also grateful for her support for me and my ministry, and her leadership of the parish during my leave-time in June and July. Part of Pat’s decision to forgo a third year as our senior warden was to see the planning process further into implementation, and to complete the parish photo directory. We all owe Pat a great debt of gratitude! One of the best decisions of 2016 was to call Laurie Varley to be our Sunday School director. Having Laurie join our staff in June made all the difference in building energy for Vacation Bible School, and getting our Sunday School off to a great start in the fall. I am not only grateful for Laurie, but for our Sunday School teachers who persevered while the position was vacant; they now have the hands-on support and encouragement they deserve. Since Laurie has a passion for bulletin boards and seasonal decorations, the Sunday School’s endeavors now brighten the entire parish house to the delight of children of every age. As expected of all parish staff members, Laurie participated in a “Safe Church” training sponsored by the Episcopal Church in Connecticut. One of her insights from that experience was the advisability of moving the nursery to the Sunday School level. For me, this was a BGO: Blinding Glimpse of the Obvious. Now all our Sunday morning children’s ministries can be supervised together. I encourage you to take a tour of the Sunday School level, including the new nursery, and see for yourselves how the entire space underscores our commitment to the care and nurture of our youngest parishioners. Following up on a recommendation from our planning process, Laurie and our music director Mark Sullivan have created a regular “music time” as part of each week’s Sunday School experience. They used this time to prepare for the Nativity Pageant, and are now preparing The Good Shepherd Story for Good Shepherd Sunday, the Fourth Sunday of Easter, during the 10 a.m. service. Mark is my chief collaborator in planning our worship services. I cannot overstate the importance of his expertise, experience, and commitment to worship that “worthily” sets forth God’s praise. Supporting our choir in their ministry, and all of us as we sing God’s praise, plus his preludes and postludes that connect to themes of the day, are only the most observable dimensions of Mark’s ministry with us. My unseen, unassuming and, I fear, under-appreciated collaborators in worship are the members of our Altar Guild! Jo-Ann Ansaldo, Anna Dwyer, Cynthia Dwyer, Katherine Frydenborg, Sarah Oshana, and Hope Sperry have set the table for our worship throughout the year, with help from Guild alumna Cindy Smith. They look after the brass, silver, linens, bread, and wine that make our worship possible; we all are in their debt! Marsha Brown oversees our “Flower Calendar,” and makes sure that memorial and thanksgiving floral gifts get to the altar and into the bulletin; Marsha dedicates weeks to preparing our worship space for Christmas and Easter to the glory of God and the delight of us all. 2016 was our first full year, during my tenure as rector, with student-interns from the Berkeley School of Yale Divinity School. During the winter and spring, Stephen Douglas was with us, and Andrew Doss joined us in the fall. I think we all benefit from another voice in the pulpit once a month, and by their participation in parish events. Their rectory forum and Tuesday supper presentations have inspired and stretched many of us in new ways. Because they are both faithful, articulate, and brilliant(! ), my weekly “supervision” conversations with them have certainly helped me reflect on my ministry; since the seminary requires these conversations, I also hope they are as helpful to Stephen and Andrew. Yale Divinity School provides student-interns a stipend for their time with their internship sites. (Some parishes underwrite this stipend; I hope we will be able to do this one day.) Christ Church does reimburse our student interns for their travel from the professional expenses line in the parish budget. Proclaiming the Good News of God in Christ is one of our baptismal promises (BCP, p. 305). However, how we share our life in Christ with one another and the community around us continues to change. Fortunately, we have some gifted folks who manage our web site, post to Facebook, and otherwise support our digital proclamation. Special thanks go to Jane Ferrall for her diligence with keeping www.ChristChurchGuilford.org fresh and up to date; Jane also posts photos, upcoming events, and my weekly e-letters to Facebook with engaging artwork to catch the eye. Before Jane posts “Glad Tidings Online” to our web site. Diane Barker carefully edits every article; Diane has also edited all these Reports to the Annual Parish Meeting (except for this sentence.) Mark Sullivan continues to innovate on the choir’s web page and to share our choir’s achievements on our YouTube page. Street-front proclamation remains an effective method; so Dirck Goss continues to create the banners that announce parish special events and Holy Days to passers-by. Another “wrinkle” to our 2016 was a longer than usual summer break for me. As is typical for all Episcopal clergy, I receive leave-time for vacation and continuing education each year. 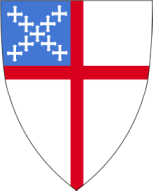 In 2016, you also granted me the first of three sabbatical months provided in our “Letter of Agreement.” Sabbatical-leave for clergy after five years of service is standard in the Episcopal Church; however, instead of receiving it all in one year, spreading the sabbatical over three years seemed a better fit for Christ Church and for me. In this, we followed the precedent you set with my predecessor, the Rev. Norman Macleod. So in June, I took two courses at the School of Theology of the University of the South in Sewanee, Tennessee; in July, I visited family in Oregon, and with friends on Cape Cod. When I returned to the pulpit on July 31st, I had new stories to tell, and fresh insights to share. While I was away, worship, pastoral care, fellowship, and parish administration continued without a hitch. Our on-the-ball Parish Administrator handled the day-to-day details of our parish life, and connected with our supply clergy; Senior Warden Pat Daunic chaired Vestry meetings, and helped with questions that might usually go to me. Our Finance team -- Treasurer Ted Sands, Bookkeeper Melissa Lamoreaux, the Finance Committee and Counters – all continued their sound fiscal management. With the support of our Parish Administrator and Sexton, Junior Warden Susan Shackford and the Vestry continued their stewardship of our historic buildings and grounds (without any interference from me!). The Pastoral Care Committee shared their supply of meatloaves-to-go, as part of their ongoing ministry of care and concern. My heartfelt thanks to all of you! The feedback I received indicated that the pattern of two or three weeks with each of the clergy who supplied during June and July worked well. You seemed to appreciate the opportunity to worship with the Reverend Anne Richards, Kent Smith, and Jane Stickney. Attendance was as good as if YFNR were present. I will soon be extending invitations to clergy to be with you during my absence in the summer of 2017. But in the meantime, I look forward to our life together in 2017! P.S. I am also grateful for the kindness shown to me when my dog – the parish’s dog -- Boone died suddenly in February, and your understanding when my adoption of Cassie did not work out; she’s a great dog, but unwilling to share the Green with other dogs. Fortunately, she found a new home right away!